The Palace also announced where Princess Charlotte will attend nursery school. Prince William and Princess Kate shared a new family photo that’s featured on their royal Christmas card this year. 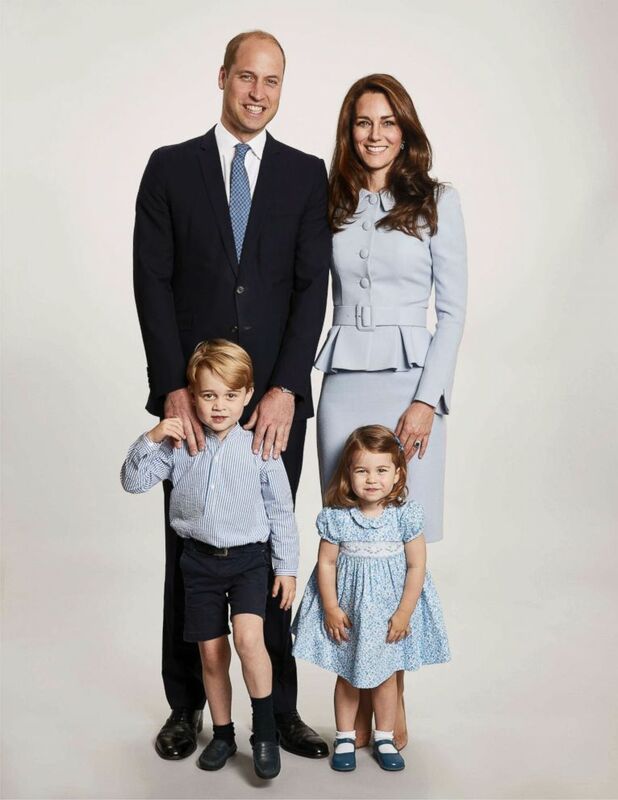 Kensington Palace released the new portrait today of the family and Prince William, Princess Kate, Prince George and Princess Charlotte are wearing matching blue outfits. The new photo was taken by Getty Images royal photographer Chris Jackson earlier this year at Kensington Palace. (Chris Jackson/Kensington Palace via Getty Images) Britain's Prince William and Kate, the Duchess of Cambridge pose with their children Prince George and Princess Charlotte, at Kensington Palace in this undated photo provided by Kensington Palace. The photo has been used on the Cambridges' Christmas card. The palace also announced that Princess Charlotte will attend the Willcocks Nursery School in London, starting next month. "We are delighted that The Duke and Duchess of Cambridge have chosen the Willcocks Nursery School for Princess Charlotte. We look forward to welcoming Charlotte to our nursery in January," the school said in a statement. The school, which is located around the corner from Kensington Palace and has been in existence for 75 years, describes itself as a "traditional nursery school which strives to maintain its ethos for high standards, excellence and good manners." Tuition is about $18,000 for the morning and afternoon session, according to the school's website. Princess Charlotte, the fourth-in-line to the throne, will start school not too far from Prince George's St. Thomas's Battersea School in London. George, the third-in-line to the throne, attended a Montessori school part time close to the family's Anmer Hall home in Norfolk. Charlotte is expected to attend Willcocks full time when she starts in January. Next year will be a busy one for the royals, with a new baby on the way for William and Kate. Kate is pregnant with the couple's third child.